Cornelius Proved That There is Something You can do that an Angel Can’t. So Do. Your. Job. There is an interesting story in Acts that indirectly describes what an Angel Can’t Do, And the funny thing is that it has something to do with YOU. Cornelius did as he was told and sent for Simon Peter, who came to his house and shared the Gospel. Cornelius and his entire household responded to Peter’s message and became believers. 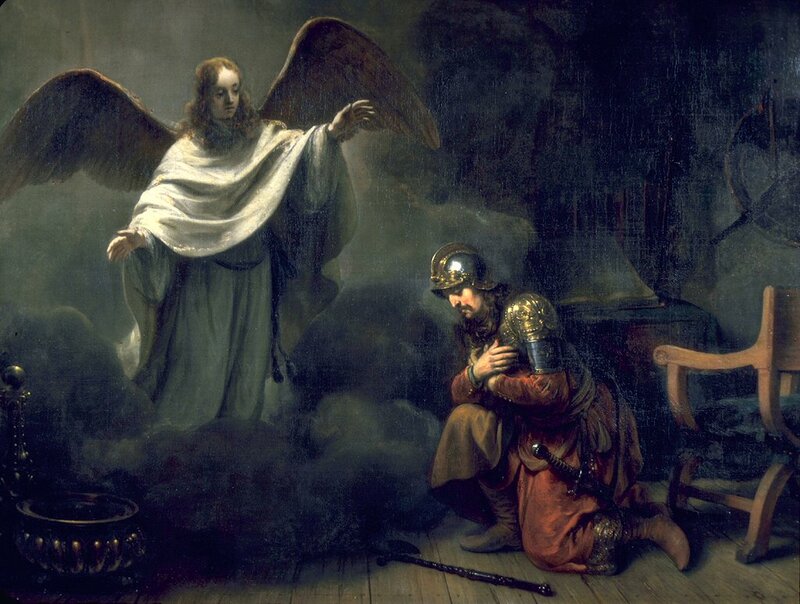 But here’s a very interesting Question: why didn’t the angel of God just tell Cornelius what to do? Angels are powerful, impressive, truthful messengers from God. An angel was sent to Mary and to Joseph to brief each of them on the coming birth of their son. Throughout history, Angels have delivered all kinds of important news from God… They are striking and unusual, and they command attention and respect. Why didn’t the angel just go ahead and share the Gospel with Cornelius? Surely he would have responded! Surely the average person, upon receiving such a message from an angel, would accept it and believe! So why didn’t the angel just say, “Believe on the Lord Jesus Christ, and you shall be saved”? Have you ever asked that question? Well, here’s the Answer: because angels CAN’T share the gospel. There is only one set of messengers empowered to share the gospel on earth, and it is US. You and me. If the good news goes anywhere, it will not be because celestial beings appear to tell it. It depends on people like you and me. Which leads to this: if God sent an angel to someone seeking the truth, would that angel tell them to send for you? And if they sent for you, would you go? What would you tell them? “Cornelius, we know you are seeking the Way! And believed everything that Peter said. Why didn’t the angel just tell him instead? Why didn’t the angel just share the good news? It’s something he knew that Cornelius could use! If an Angel shared Jesus, why, who could refuse? He reason he never shared was that he COULDN’T. The Gospel comes only through me, and through YOU. Just what would you tell them? And what would you say? Could you share the Gospel with him? Are you ready?